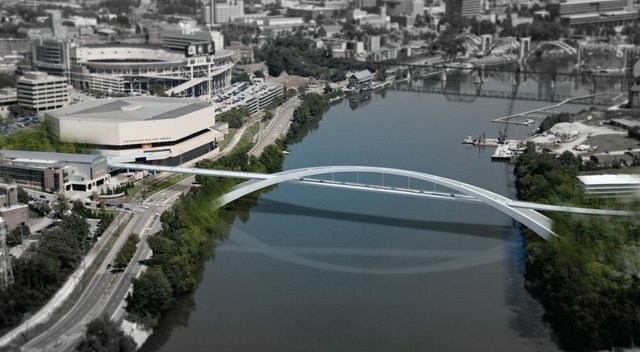 A pedestrian bridge that would span the Tennessee River connecting the University of Tennessee’s campus with South Knoxville is taking shape after years of planning. The project is part of a 20-year revitalization strategy to redevelop Knoxville’s south waterfront. The Knoxville City Council approved a $24 million application for the Transportation Investment Generating Economic Recovery Discretionary grant from the United States Department of Transportation. The grant requires a 20 percent local match. If approved, the city would match $6 million to construct the bridge from the 2016-2017 Capital budget. Grant winners will be announced in Fall 2015. More info here. 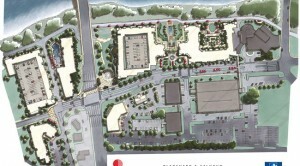 Ground has been broken on the exceptional 23-acre waterfront property formerly known as Baptist Hospital. The property is being turned into a mixed-use development overlooking Downtown Knoxville. Upon completion, this $160 million site will transform into 315 luxury Class A apartment units overlooking the Tennessee River, 225 student housing suites, 40k SF of retail and 230K SF of office space. Demolition of the Hospital site is complete. Construction of the apartments will begin Q3 2015, with completion expected Q4 2016. More info here.